When it came to the end of the October half term I had a really overwhelming feeling that I needed to make sure we made the most of these moments. I don’t know whether that is because by the time school is out again my baby will be just a week away from being 6 years old (and I am totally not ready for that) or just because I have absolutely loved spending this week with her at home and I really wanted to extend this time we had together. 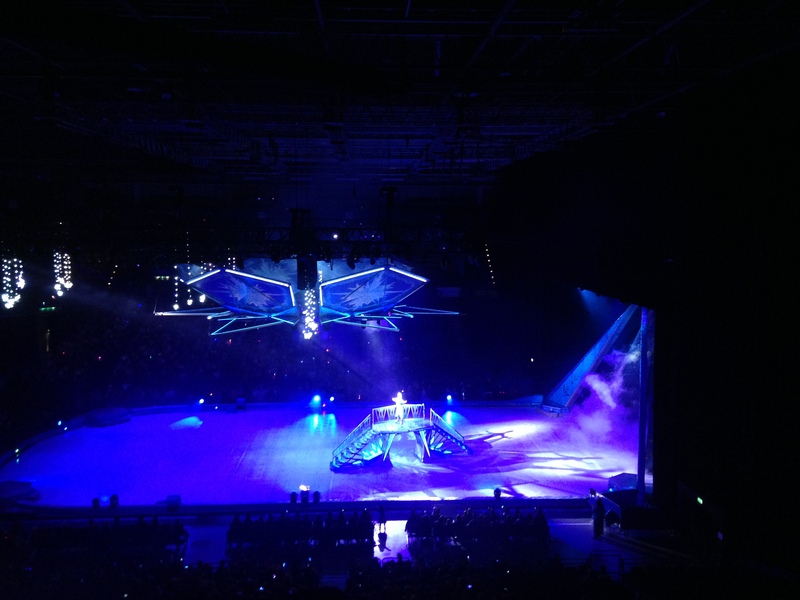 So as I sat on my bed on Saturday morning on a whim I thought about Disney on Ice tickets and to my surprise it was on in Birmingham that very same day. A quick text to Eddy and an impulse purchase later we were on our way! We decided to head straight for Birmingham after giving Roma a nap as it would be a late night and have some dinner there. Dinner out with Eva is always a little trickier than most children as she has multiple allergies so bless her she ends up eating lots of plain food and we therefore usually stick with the places we know and love or her absolute favourite, sushi. It was of course busy around the Barclaycard Arena but we got a table at Zizzi’s for the four of us and wow was that a good find. Not only was the waiter brilliant with the children and the menu delicious for us but they also listened and took care of Eva’s needs and stated they have food suitable for vegans (she isn’t vegan but she is allergic to milk and eggs) which was perfect. When the plates came out it had a little sticker on it that said ‘non dairy’ and it was just so reassuring as an allergy mum to have it taken seriously, and it made Eva feel a little bit special too. After dinner we had a walk along the canals and to the arena to take our seats. To say Eva was excited was an understatement. She is a huge fan of Disney and although she isn’t set on any one film in particular, like Frozen, she just loves them all. 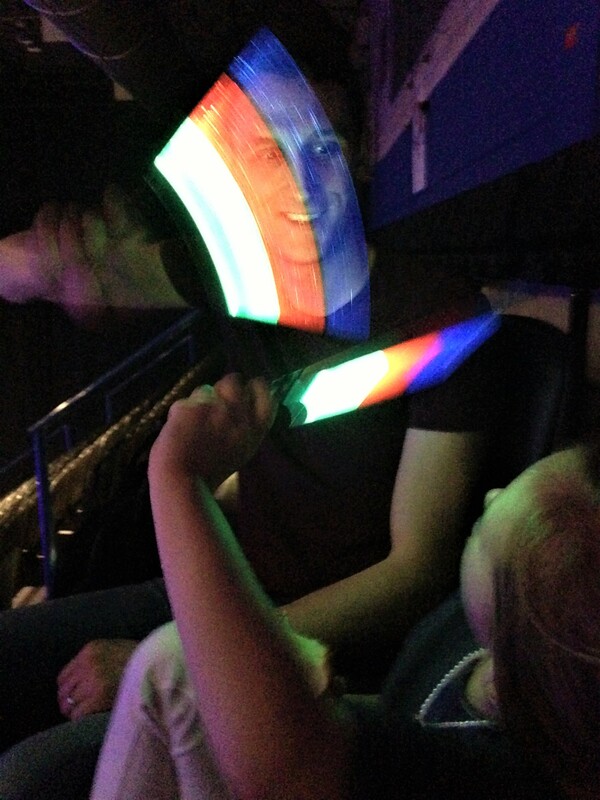 We got them both glow sticks and made our way through the crowds. As we had booked our tickets late we were quite far up at the back but we could still see and it also meant that we had a row to ourselves which by the end we were thankful for as the littlest got more and more tired and wanted to wander or be passed from person to person. 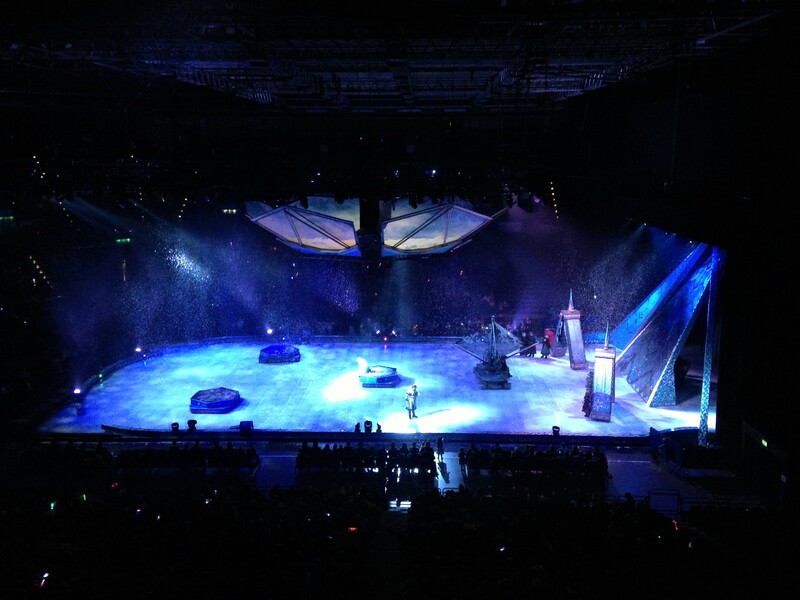 But as the music started and not just the Frozen characters but lots of iconic Disney characters came out I looked at Eva’s face and her eyes were so wide. She was absolutely mesmerized through the whole performance and sang each song right along with them, as did we! It was brilliant, it was so immersive and inclusive and even Roma was transfixed. I have to admit that the inflatable ice monster was a little scary for them but we laughed it off with the marshmallow name and all seemed ok. Eddy and I were amazed with the staging and when the Troll boulders moved we were all impressed. It was, as you would expect, pulled off faultlessly. The highlight for Eva though was watching them skate, as they spun round and round she literally could not take her eyes off of them and it definitely got her wanting to don some skates right there and then. I cannot say much more than there is something magical about Disney, it draws you into the emotion of it all and seeing the wonder on my little ladies faces was so emotional. When I was a little girl I had a rare heart condition and had to have surgery when I was about 9. 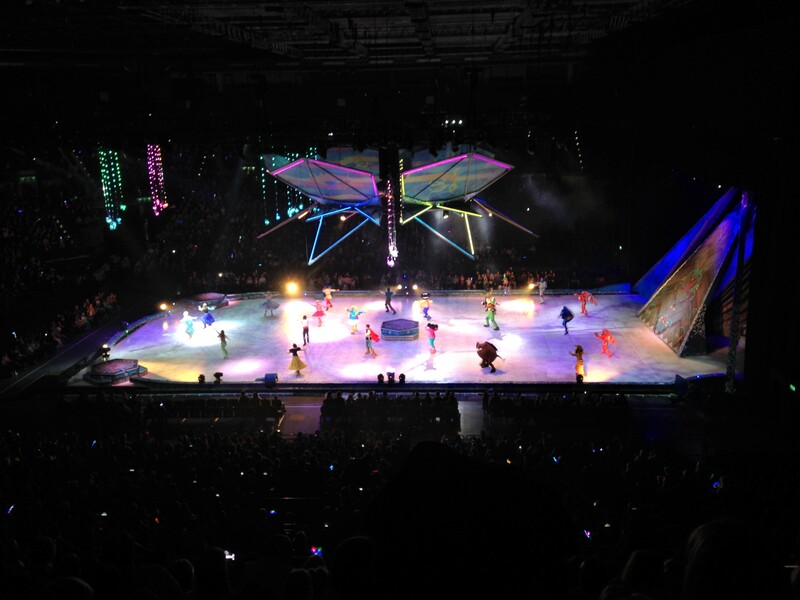 I remember that before the operation we were gifted tickets to Disney on Ice, I am sure it was by some people at Birmingham Children’s Hospital or the heart charity I’m not sure but I know that had this not been the case we would never have been able to afford to go. I don’t remember the whole experience or even what we saw now but I know that the feeling stayed with me for a long time. As will this, as everyone joined in and sang the finale I felt tears prick my eyes. I feel so lucky to be able to give my little ladies these experiences and to make childhood as magic as we can. One day when I take them to Disney World, which I will, I know hand on heart that I will be the one to cry my eyes out. Thank you to the magic of Disney, for the children, for the parents, for us Mums, it really is pure magic. These are ridiculously grainy Iphone pictures that capture the moment perfectly for me. Part of me wishes I took my camera but part of me is so glad that I didn’t, I wanted to be right in that moment, and that I was.